James Wellbeloved Lamb and Rice Light dog food contains none of the ingredients that cause most food allergies (i.e. no beef wheat or dairy products). Hypo-allergenic to soothe skin irritations. Better digestibility means less stool. Activity-balanced proteins to help calm hyperactive behaviour. 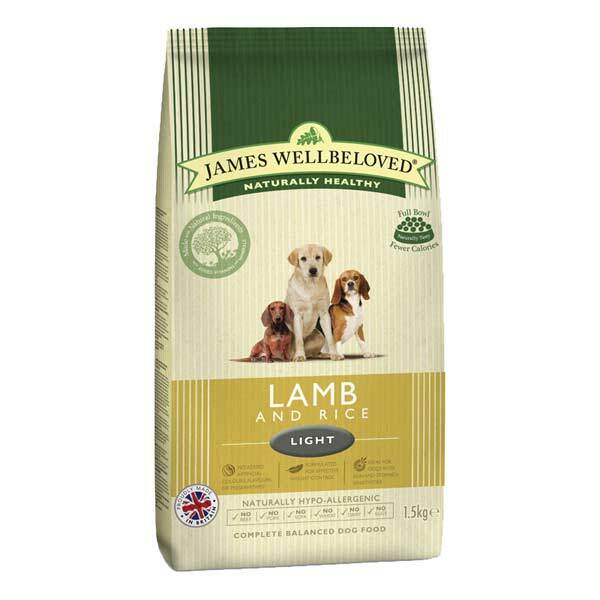 Delicious lamb gravy with the taste that dogs love.